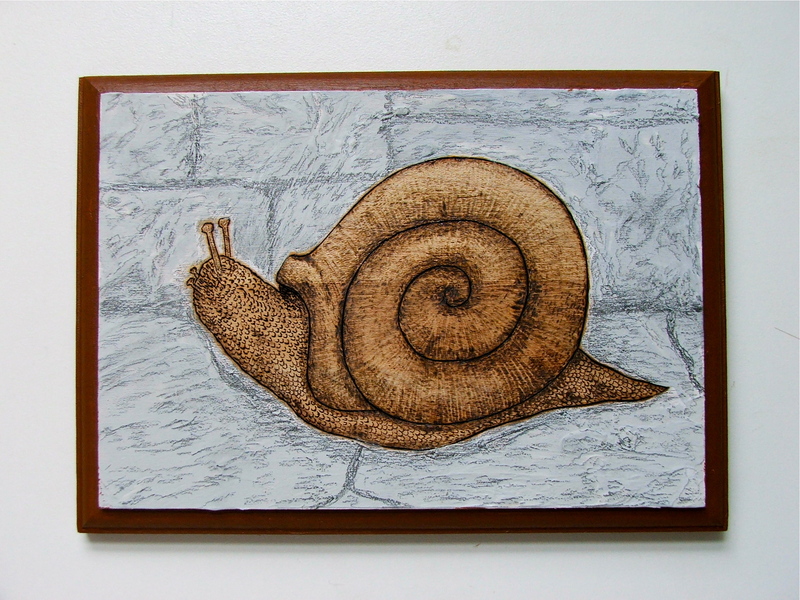 Sometimes I feel like I work at a snail’s pace. The snail was burned, and the background is acrylic mixed with modelling paste, and graphite for the details. If anyone is local to Chicago, you may want to stop by the OhNo!Doom gallery Saturday August 11 through August 30. There just so happens to be a terrific Adventure Time! tribute show, featuring over 40 artists, including myself. The show opens Saturday (oh, that’s almost here) August 11 from 6 PM through 10 PM. This piece incorporates pyrography, gouache, acrylic, modelling paste, and graphite. 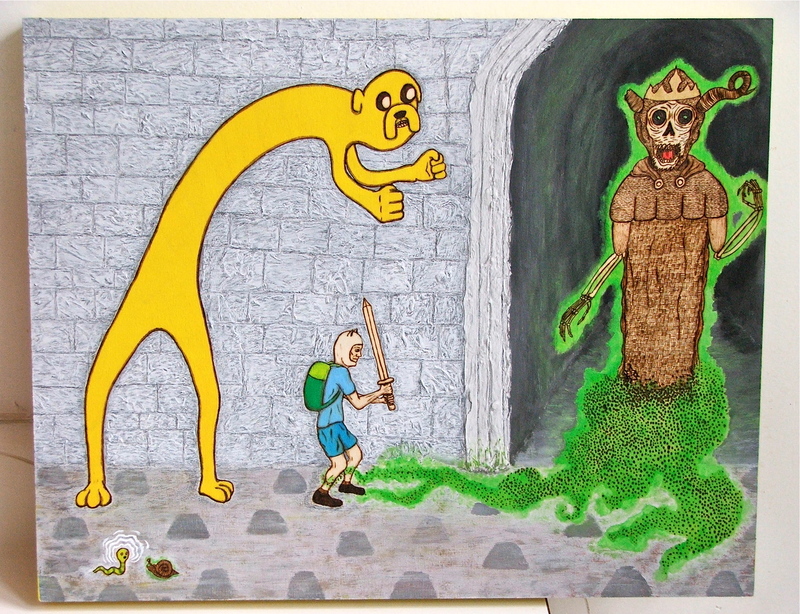 You are currently browsing the Old Scratch Art blog archives for August, 2012.